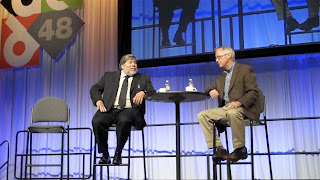 If you weren't able to make it to the 48th Design Automation Conference in San Diego this week, you missed a very entertaining "Up Close and Personal" chat with Apple co-founder Steve (The "Woz") Wozniak, conducted by the San Jose Mercury News' Mike Cassidy.Thanks to Magma Design Automation for sponsoring this event, and for providing front-row seats to the press - which allowed me to record the session that you can watch here. 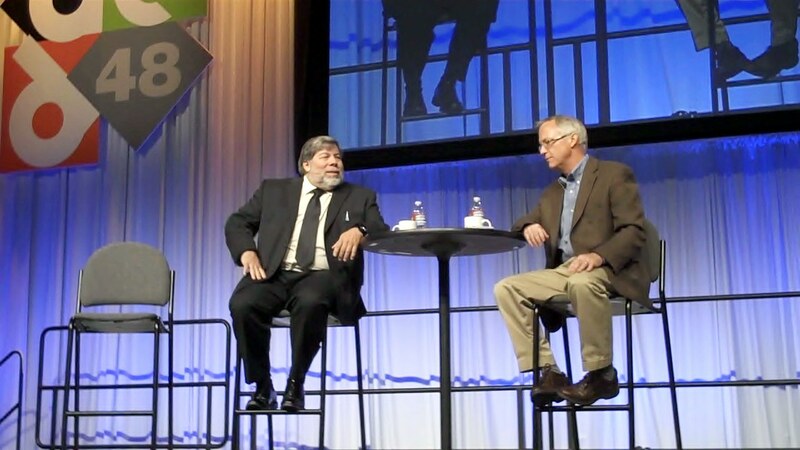 Like many of us, Steve showed that he possessed engineer's DNA at a very early age, though (as you will learn in the video) he never completed a college degree.In this first segment, the Woz discusses his early influences, and what led him to create the Apple-I and Apple-II computers. There is some karmic irony in the fact that Steve got his professional start at HP, where they wouldn't let him work on their personal computer project. Who could have imagined that, some 35+ years later, Apple will construct what is sure to become a landmark headquarters building... on the former HP campus in Cupertino.